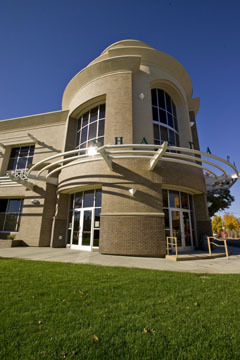 CSU, Chico is excited to offer the Management option for Business Administration majors to students in the Redding area at the Shasta College University Center in Downtown Redding. Many courses are offered on site at University Center and others are delivered online, providing maximum flexibility and access for Redding-area residents. Students may be eligible for scholarships and financial aid. If you are interested you may be eligible to take courses without being admitted to the University through Open University. Office Hours: Mon, 11am-4pm; Tue, 12:10pm-6:40pm; Wed, Noon-5:30pm; Thu, 11am-4pm. In addition to information about CSU, Chico programs in Redding, Dan has information about our online BA degree completion programs in Liberal Studies, Religious Studies, Social Science, and Sociology.